The long- awaited version of Sailfish OS for another set of Sony Xperia smartphones. If you enjoyed using Nokia N9 and Meego back in the day. you’re definitely the target audience of this offering. Hopefully this version of Sailfish X will soon get the official support layer that can run Android apps alongside native ones. Shortly after Jolla rolled out Sailfish 3. the third major release of this alternative mobile OS (see LXF236 news), there was more good news. 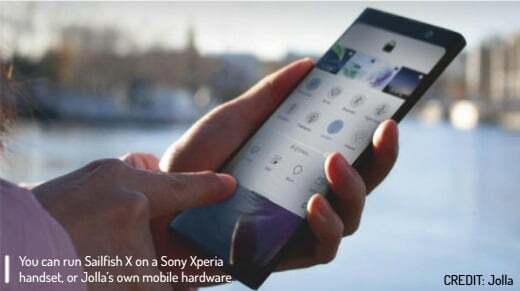 The Finns rolled out the updated version of Sailfish X for Sony Xperia XA2 devices. Let’s find out what’s new. First, some clarification is required to tell X and 3 apart. 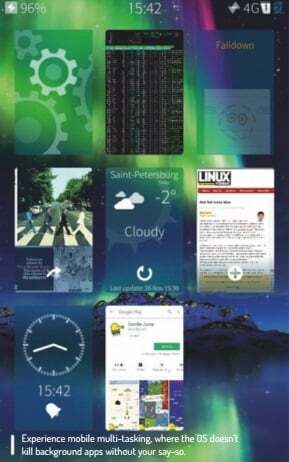 Sailfish 3 is the current version of the OS for Jolla’s own two phones (Jolla and Jolla C). together with some other phones with limited availability as well as the basement of community builds and adaptations for a few more devices. Sailfish X is just a re-branded version of Sailfish OS for Sony Xperia X mobile devices. The initiative was made possible thanks to Sony Mobile’s attitude towards the open source community. The vendor launched the Open Devices programme, which featured an open bootloader coupled with an officially supported ROM flash tool. Sailfish X is a commercial offering with support from Jolla. It can be purchased as a standalone product and installed on supported Sony Xperia devices, with Jolla providing instructions about flashing your device from Linux, macOS or Windows. We tried the latest Sailfish X version on the newer Sony Xperia XA2 and older Xperia X.
There’s always been a question mark over the capabilities of Sailfish running on different devices. Does it run Android apps? This is a killer feature that attracts a lot of praise and puts Sailfish firmly in customers’ sights. A custom Linux- based OS that includes an Android compatibility layer and enables users run their favourite Android apps is an undisputed hit. but take away such functionality and live with native apps only, and the hit OS becomes a miss. At least, this is true for an average tech-savvy user who can download APK files manually, but will avoid running a mobile OS that lacks banking apps. games, taxi ordering and so on as their main system. The standout Feature of Sailfish X is its Android compatibility layer. had Alien Dalvik. whereas custom community-made Sailfish ROMs and some regional offerings (Jala, Intex, Inoi and so on) lacked this aspect. Taking Sailfish X for a spin on a modern Sony smartphone raises the same question. Oddly, the latest Sailfish X offering, rolled out in November 2018 for Sony Xperia XA2 (H4XX3) devices, only mentions that Android app support is on its way – it doesn’t have it out of the box. The Jolla team calls it the ‘free trial’ of Sailfish X for those devices and has promised to deliver Android support by the end of 2018. Behind the scenes there’s a strong commitment of Jolla and Myriad Group to update Alien Dalvik from version 5.1 (Lollipop) to 8.0 (Oreo) and offer the licensed version to Jolla customers. The full- featured Sailfish X normally costs 49 euros and is available in EU countries, and Norway and Switzerland. So for now. the older Xperia X models runs fully fledged Sailfish X and the latest Xperia XA2s run so-called ‘trial’ versions of Sailfish X. for the time being at least. Sailfish OS is mainly made up of open source bricks. The system runs kernel 3.10 with plenty of backported goodness and security fixes. It boots using Systemd and uses the Wayland graphic stack. The UI is implemented using Qt5 technology and written in QML and C++. 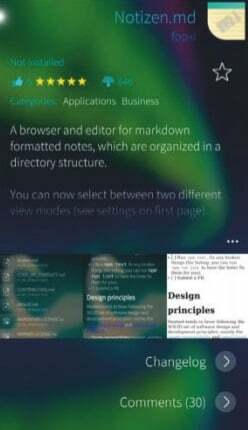 The fluid semi-transparent interface of Sailfish, which is easy to navigate using swipes, has been built using both the OSS QtQuick module from Qt, and the proprietary Silica module from Jolla. A swipe-controlled interface is of huge benefit to the OS. but there are other features that made us even more excited. The first one is desktop-class multitasking. When compared with Android, where running apps are suspended and killed shortly after you switch the focus away, Sailfish behaves like a desktop system. Background apps remain active and can be restored quickly, and it doesn’t affect battery life significantly. The second point is package management. Sailfish doesn’t need rooting or ‘jailbreaking’. Instead, it grants full access using existing system settings and only wants a user to enable developer tools. Once you’ve done that, you can fire up a terminal and enjoy this mobile OS as if you’ve been in a desktop Linux console. Sailfish also gives you root access via the devel-su command and a password that’s defined in the Developer Tools menu. To manage software one can use either the default pkgcon package manager, or install zypper. The latter behaves the same as Zypper in openSUSE and enables you to manipulates repositories. RPM packages and package groups. Be careful, though: removing one of Sailfish core packages can eventually wipe away half of the system, rendering it inoperative. Software management is controlled in two ways. One is Pkgcon and Zypper for which you can optionally install the Storeman app as a GUI and obtain various community-made apps with ease. The other one is the official Jolla Store client, which lists select native apps together with some Android apps that are guaranteed to run in Sailfish. The experience of Jolla Store is perfect: both native and Android apps are installed seamlessly. We spent a decent period of time using Sailfish X as our main mobile OS with a generally positive experience. We assessed the availability of essential apps. services and features. In that regard, most of things that Sailfish couldn’t do by itself, such as instant payments or running high-quality games, were fulfilled by an appropriate Android app. Using community-made instructions it was possible to install the official Google Play app and enjoy the same comfort as with the stock Android OS. so you may not need to bother with APK downloads. However, living with Sailfish X was still a compromise. The quality of Alien Dalvik is comparable with that of Wine: both run hundreds of non-native apps. but there are still things that crash or don’t work at all. Jolla’s offering is great, but it’s not mature enough to rival stock Android-based ROMs, mainly because it still requires a lot of effort to keep things running. The lack of comprehensive documentation also makes solving common problems difficult. From another perspective. 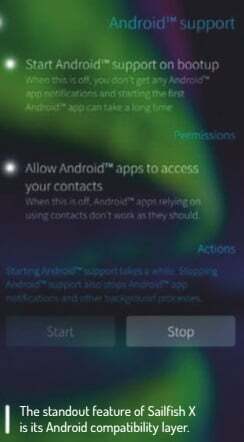 Sailfish is suitable for every advanced user who seeks liberation from Google’s non-removable apps. tracking and so on. Hopefully. Jolla will one day lower the barrier for this new audience and burst into the market with more devices, which will attract a lot of privacy-worried users. In contrast to that. Sailfish X without Alien Dalvik is purely a test environment for a small group of Sailfish and Mer developers. It’s of limited use. Storeman is a great way to obtain extra open source software easily. Experience mobile multi-tasking, where the OS doesn’t kill background apps without your say-so. Alien Dalvik isn’t the only thing that ties Sailfish to Android. Another is Libhybris, a mediator that connects GNU Libc components with Android middleware. Libhybris makes it possible for Sailfish to run on handhelds for which Jolla doesn’t have native hardware drivers. There’s a list of supported phones, where each model has its own Libhybris-based adaptation and uses drivers from Android. Working with Libhybris was a compulsory step for Jolla, because a small tech company doesn’t have enough resources to develop hardware drivers. Libhybris solves that and enables developers to adapt their OS to existing hardware, for which there are open source Android drivers. The Sailfish community has since produced many adaptations for various HTC. Motorola. OnePlus phones and others. They’re more or less working, but the best Sailfish experience for newcomers remains buying officially licenced devices. Small vendors often announce limited offerings in different parts of the world, and it’s often possible to order such phones at a reasonable price. Such phones will support only native Sailfish apps. but this may sometimes be enough for daily life. There are dozens of high-quality titles at https://openrepos.net, including maps, office and email apps. games, sport trackers and utilities. The ecosystem is constantly growing! Sailfish X is still not mature enough for widespread adoption, but it's moving in the right direction.